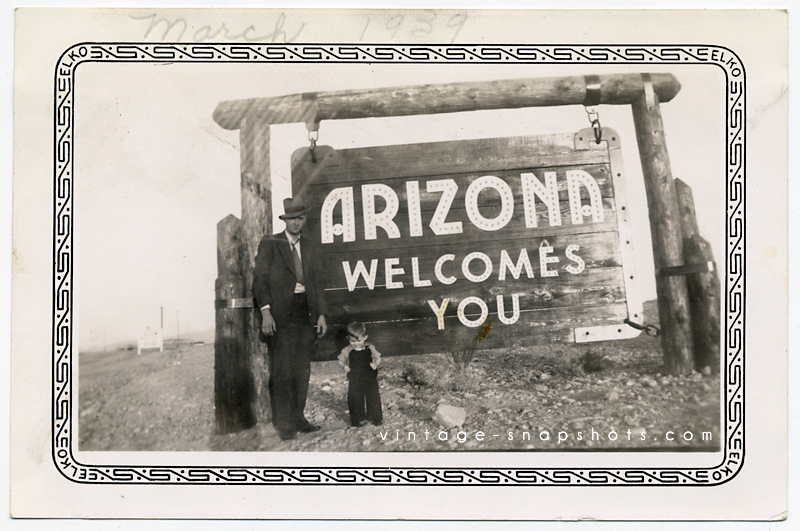 A staple of vintage amateur travel photography is the shot of a person or persons next to a state-line welcome sign. In a lot of ways it must have been a somewhat bigger ‘event’ to venture into other states in, say, the 1930s or ’40s, before the dawn of the interstate highway system in the 1950s (and of course before air travel became such a common phenomenon). I like this image a lot – the suit and slightly rakish hat, the sign itself, and also just the warm, vintage tone of the photo. Somehow the angle also gives it something, I feel. I’m curious about their story. 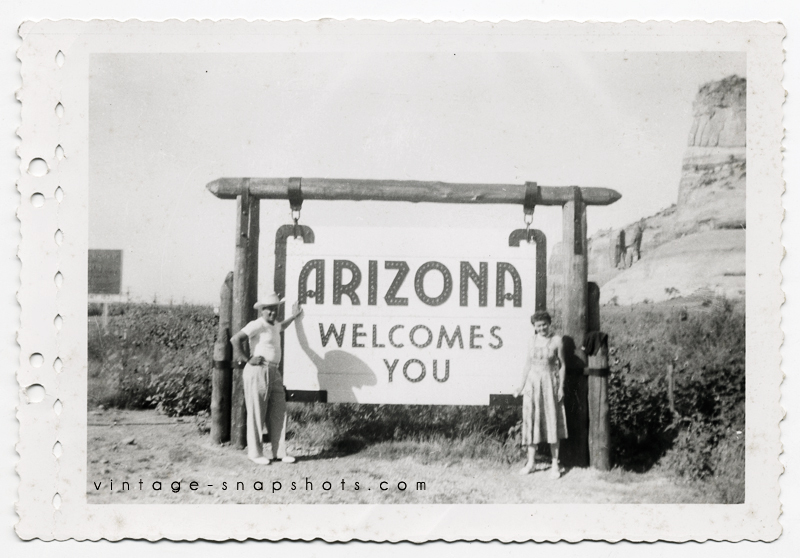 Here is another Arizona sign, which is pretty similar. I’m not, however, as intrigued by this photo’s subjects. 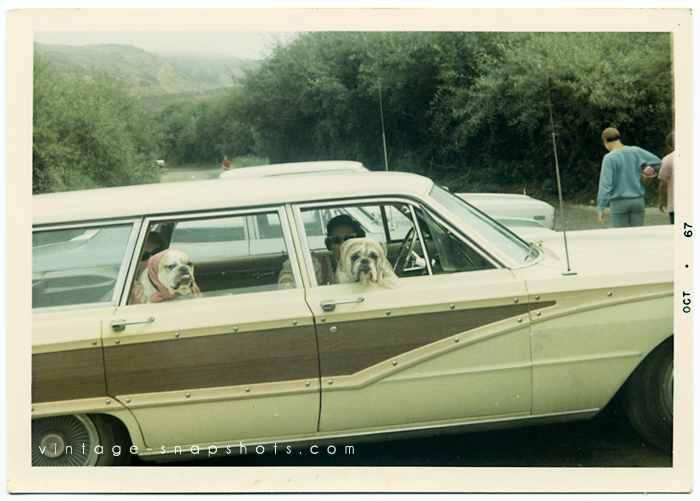 Average cost of a new car in 1967: $2,750; average price of a gallon of gas: 33 cents; hitting the road for a day out with those guys: priceless.